How do I access my purchase? I never got a download link? An auto email should have been sent to you with your purchase. Please check your spam or junk folder, if you don't find the email there, no worries. You can always have access to your purchases in your account by logging in with the info you set up at the time of your purchase. Just go to the Seniors Unlocked page here: https://store.seniorsunlocked.com/, click on the Log In tab and enter the info you set up at the time of your purchase. Once you are logged in, you will see all of your purchases in that area. How do I download the videos to archive or watch offline? You will see a gray Download Video button under each video. Click to download the video to watch offline. I suggest you load that downloaded video into iTunes for viewing. I don't see the Download Video button? If you don't see the Download Video button or have any problems downloading, try a different browser like Crome or Firefox. How do I download the resource files? 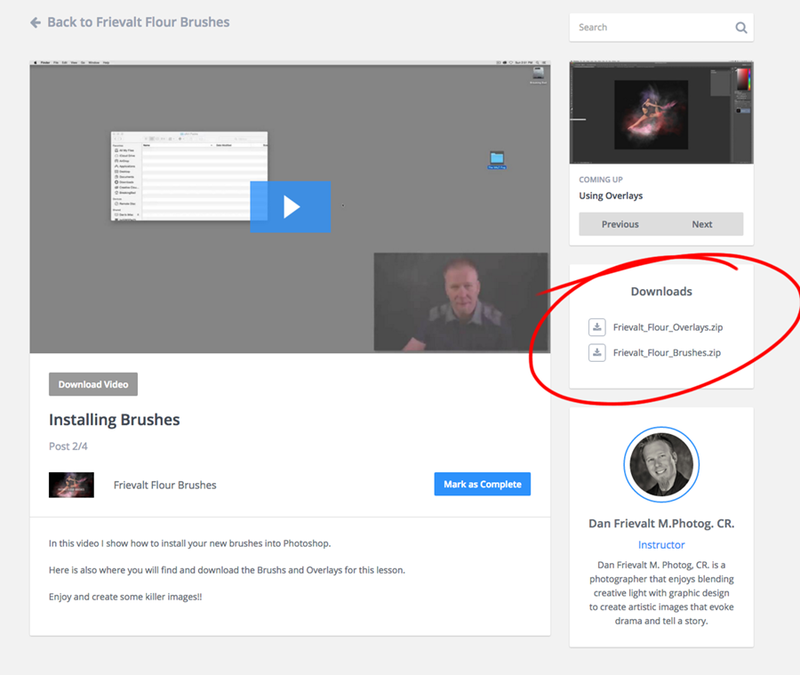 All resource files that come with your products will be in a section usually to the right of the post labeled Downloads. They will be labeled with a .ZIP extension. How do I unzip my downloads? To decompress (unzip) a file or folder on a Mac, double-click it. To open a zipped file on a PC, drag the .zip attachment to the desktop. Once the file is on the desktop, you can double- or right-click to open it. Double-click the zipped file to see its contents. Still having problems? Please try and download the zip file again. Sometimes if you have a poor or slow internet connection, the file doesn’t fully download and if you download it again, it might help. Please be aware the download zip files are very large so it may take over 10 minutes for it to download. Again, that all depends on your internet speed. All of my Photoshop brushes are built to work in Photoshop version CS6 and higher to have the best quality. If you are using a version of Photoshop that is older or Photoshop Elements I have also included Photoshop Overlay jpgs that work similar to my brushes. I personally prefer to use the Overlays and they work with any version of Photoshop or Photoshop Elements.